The Prime Minister will also call for an end to the “stigma” around social housing, as she hails a “ground-breaking” initiative to give the sector long-term confidence to take a lead in major projects. Housing associations, which are private and non-profit-making providers and managers of low-cost homes, will be able to bid for a share of the £2billion fund stretching as far ahead as 2028-29. 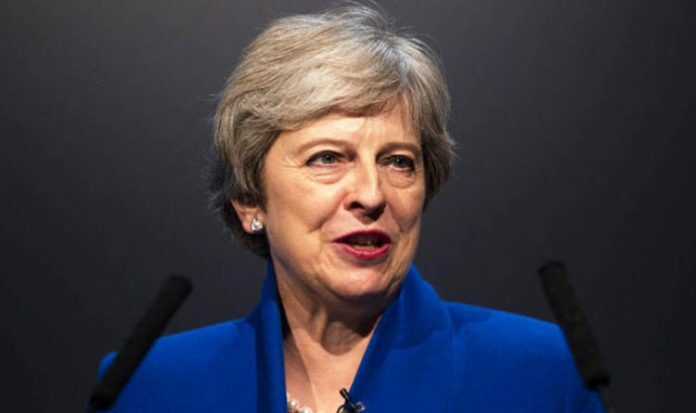 It is the first time any government has offered associations such long-term certainty, she will tell the National Housing Federation Summit in London, which she is the first Prime Minister to address. In return, she will call on associations to use their community links, expertise and ability to ride out market cycles “to achieve things neither private developers nor local authorities are capable of doing. She will continue: ”I’m asking housing associations to use the tools we have given you – not just to build more homes, though of course more homes are needed, but to take the lead in transforming the very way in which we think about and deliver housing in this country. “Rather than simply acquiring a proportion of the properties commercial developers build, I want to see housing associations taking on and leading major developments themselves, because creating the kind of large-scale, high-quality developments this country needs requires a special kind of leadership – leadership you are uniquely well-placed to provide,” she will tell them. She will also urge them to help change how tenants and wider society view social housing. “For many people, a certain stigma still clings to social housing. Some residents feel marginalised and overlooked, and are ashamed to share the fact that their home belongs to a housing association or local authority,” she is expected to say. “And on the outside, many people in society, including too many politicians, continue to look down on social housing and, by extension, the people who call it their home. “We should never see social housing as something that need simply be ‘good enough’, nor think that the people who live in it should be grateful for their safety net and expect no better. Mrs May’s speech will be seen as part of her determination to show she has an energetic domestic policy agenda that goes beyond Brexit. She has said it is a personal mission to get more people onto the housing ladder. David Orr, Chief Executive of the National Housing Federation, said: “The announcement of £2billion of new money for social housing is extremely welcome but the really big news here is the Prime Minister’s long-term commitment to funding new affordable homes. This represents a total step change. “For years, the way that money was allocated meant housing associations couldn’t be sure of long-term funding to build much-needed affordable housing.